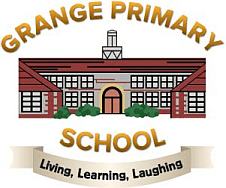 It is very reassuring to many working parents that even after their children have started school they can still be cared for from 7.00 am to 6.30 pm in our breakfast and afterschool club at Grange School. Indeed for those children who first attended the nursery, moving into the afterschool club is an easy and natural progression. Children are safely delivered to several local schools (Grange, English Martyrs and Brooklands in Long Eaton and Chetwynd Road, Banks Road and Bispham Drive in Toton) and collected to return for tea/snack and fun with their friends in the after school club until it is time to go home. A wide range of toys, games and activities are provided to keep the children happy and busy indoors and out. Of course the safety and well being of your child is just as important in after school club as it is in the rest of the nursery. With this in mind, we endeavour to provide an efficient communication between parents and the school for the benefit of your child. If you have any questions, would like to book a visit and request a brochure please call Assistant Managers Bea & Jessica (between 7.30 & 9.00 AM or 3.00 & 6.30 PM) on 07716 443053 or 01159 734442 at any other time. Or just call in anytime, you’ll be most welcome!